Over the years, I have been messaged by fans who reach out to me to say thanks and to keep up the good work. 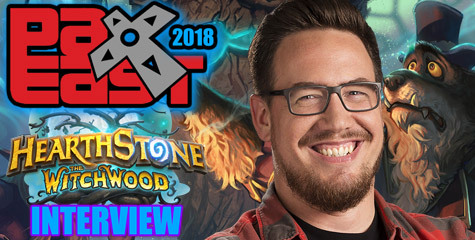 Especially, the Blizzard Licensed Products coverage. I have covered several eBay listings from time to time, and they have gotten popular. 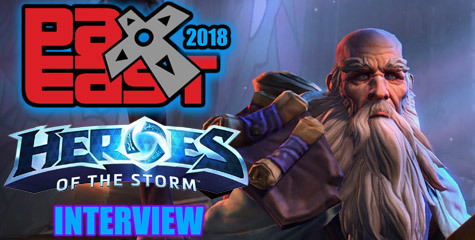 I’m adding a new section named Blizzarre Auctions to showcase some of the best picks of the week. 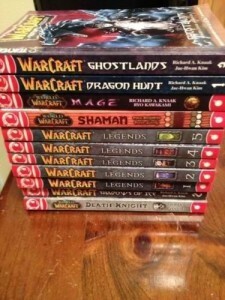 I was surprised to find a now rare collection of Tokyopop Warcraft Manga Lot in auction. Note: The Death Knight book has a tear in one of the first pages. 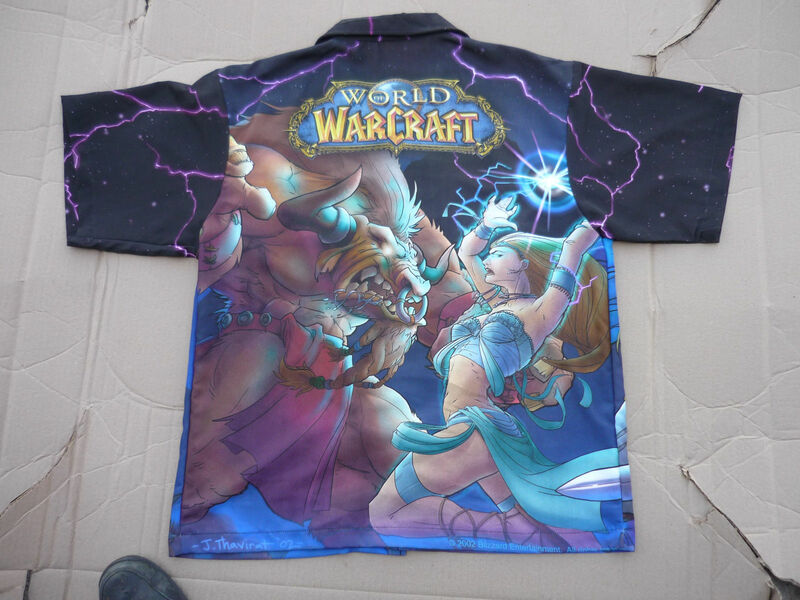 The really bizarre item in auction right now is the 2002 World of Warcraft Blizzard Employee L-Silk Shirt with a whooping $429 [Buy it Now] price tag. The bottom of the shirt reads Blizzard Entertainment and also has the artist’s signature. 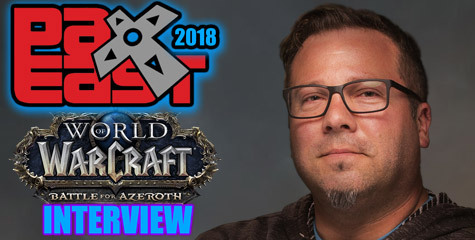 Justin Thavirat was a World of Warcraft (2004) lead artist and credited as an artist in StarCraft (1998), Diablo (1996), and Warcraft II: Tides of Darkness (1995) and their collective expansions. Justin also got a special thanks credit in the South Park (TV Series) Episode: Make Love, Not Warcraft (2006). Now, I don’t know if this shirt — at that price tag — should be worn. I’d treat it as a collectible piece of art. Make sure to frame it. There is a Cute But Deadly collection in auction right now. The Blizzcon 2013 Exclusive Kerrigan Diablo Arthas Figures is tagged as “A brand-new, unused, unopened, undamaged item”. The current bid as of this posting is $20 with only 4 bidders (Might change soon). Be swift as this one is expiring on Feb 06, 2014 10:58pm PST. 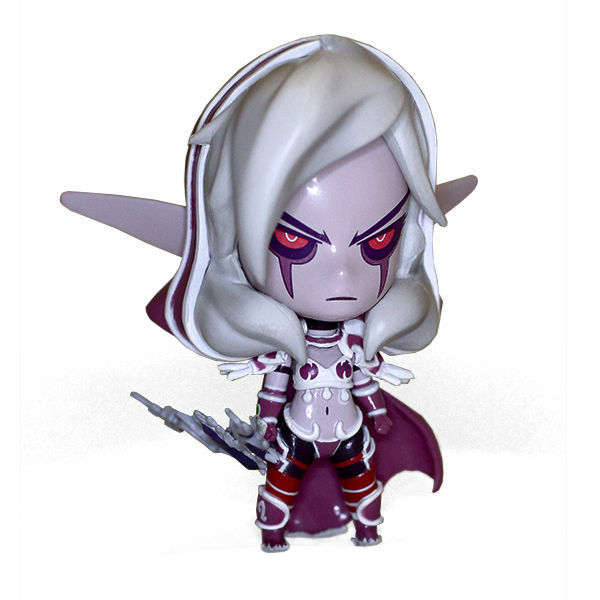 Another gem in auction is the Blizzard SDCC 2013 World of Warcraft Mini Sylvanas . 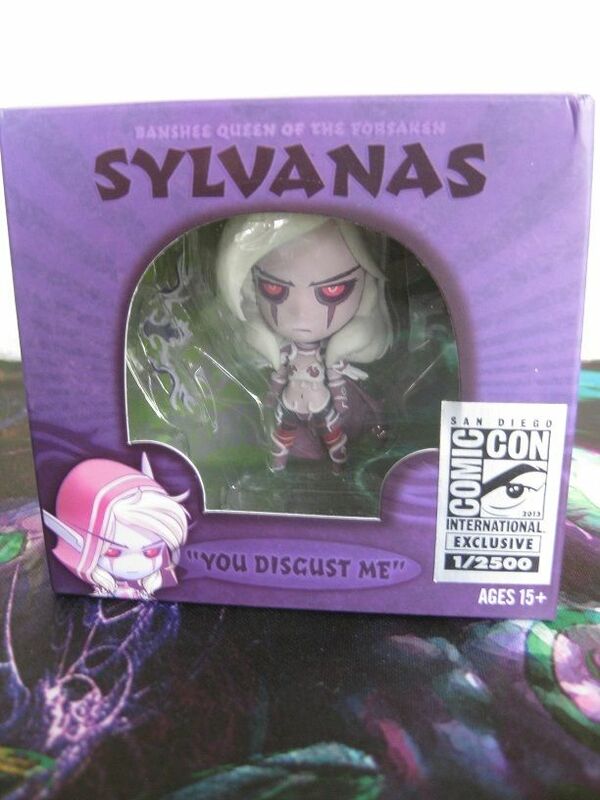 This was a San Diego Comic Con 2013 Exclusive item and only 2500 were created for the event. The current bid is $50 and might increase over the next days. 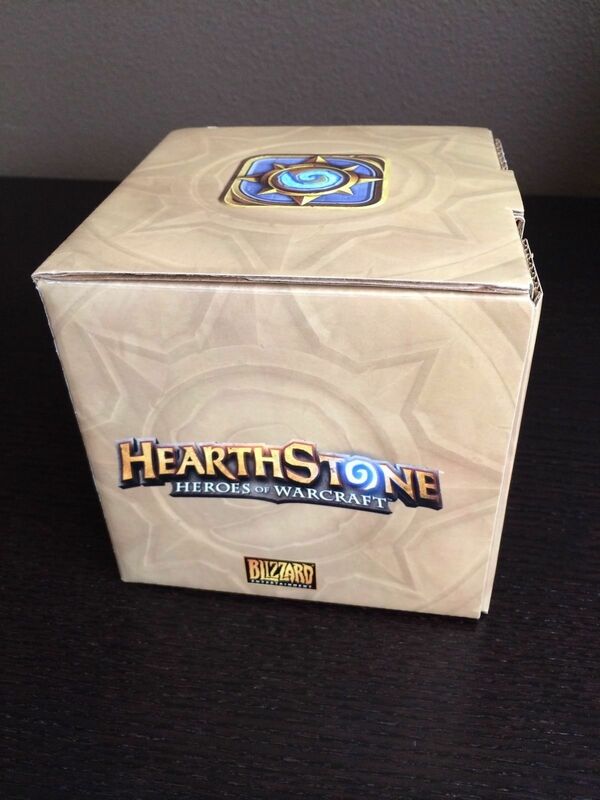 The listing expires on Feb 06, 2014 at 9pm PST. A bit sleepy? 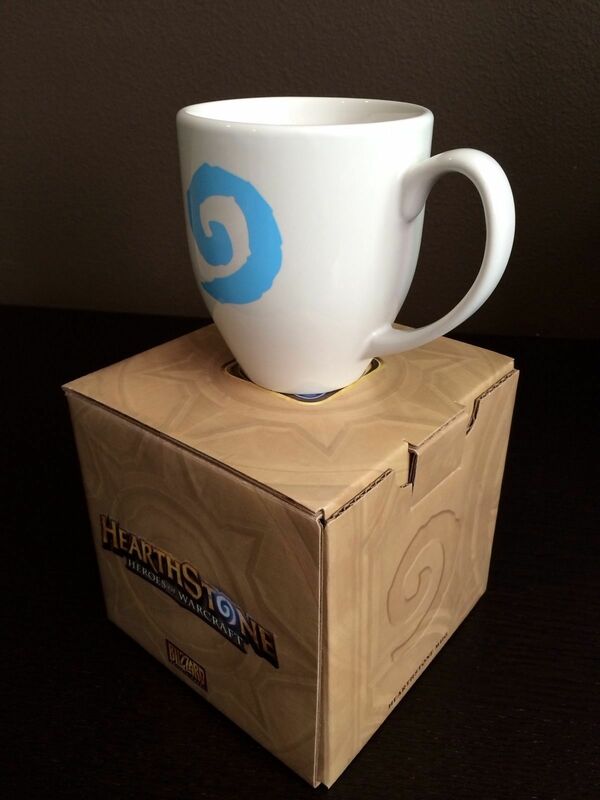 How about a nice cup of coffee on your Blizzcon 2013 Exclusive Hearthstone Collectors Mug ? The listing says: “This product has never been used and in immaculate condition. 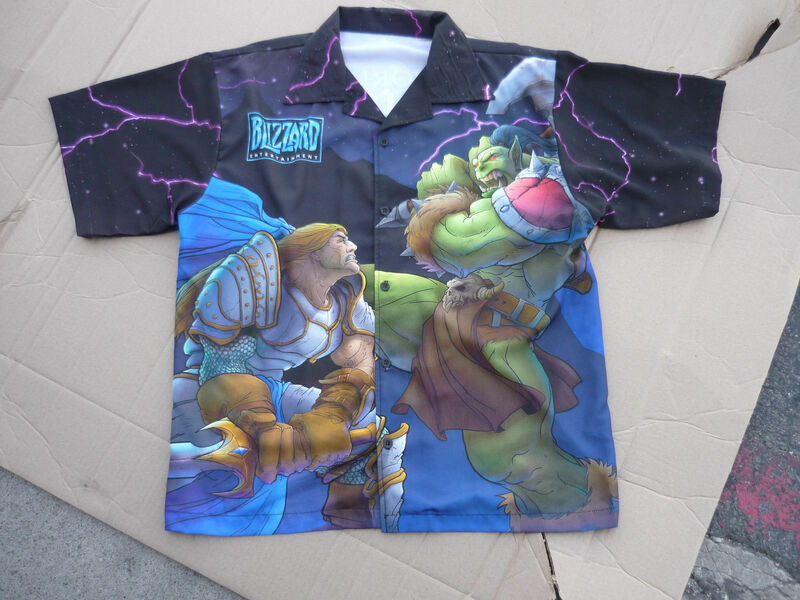 Make your friends jealous as you stream your games online sipping from this timeless piece knowing only the most elite of elites drink from the same hearthstone masterpiece collection”. The current bid is: $10.50 and expires on Feb 07, 2014 5:30pm PST.